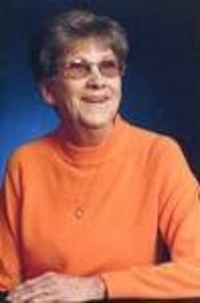 Obituary – Kitchell, Kathryn Sue (Franklin) « Perry High School Alumni Association, Inc.
Kathryn Sue Kitchell, 77, of Ponca City, passed away Friday, May 18, 2012 in Colorado Springs, CO.
Kathryn was born on December 27, 1934 in Red Rock, OK to Gerald Wilford and Golden Clifton Franklin. Kathryn was a lifelong area resident. She was a member of Faith Tabernacle Church, loved to sew, crochet, read and playing solitaire. 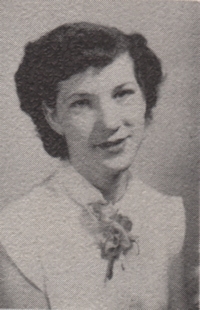 She married Charles Earl Kitchell, Jr. on May 16, 1970 in Sedan, KS he preceded her in death in November of 2004. She was also preceded in death by her parents, 1 sisterWanda, 3 brothers Fayne, Gerald and Rodney also by a stepson Larry Kitchell. Kathryn is survived by 5 children Cindy and Gordon Meadows of Winfield, KS, Susan and Randy Scott of Ponca City, Robin and Butch Proenneke of Millers Creek, NC, Jeffrey Davis of Colorado Springs, CO, Patrick and Christina Kitchell of Colorado Springs, CO, and daughterinlaw Andrea Kitchell Clinton. Brothers and Sisters Leland Bud Franklin of Perry, OK, Pauline Jackson of Hiawatha KS, JoAnn Freeman of OKC, Kerman Franklin of Edmond, OK, Clifton Blick Franklin of Perry, OK, Rose Silva of OKC and John Franklin of Perry, OK. 14 Grandchildren, Larry Kitchell, Scott Kitchell, Christie Gordon, Mike Meadows, Abraham Stewart, Kendra Garrett, Erin Gillespie, Trenee Scott, Janna Proenneke, Aryn Kitchell, Zack Kitchell, Jacob Kitchell, Caitlyn Proenneke, Addison Davis, and 14 Great Grandchildren. Funeral Services will be held 10 am, Friday, May 25, 2012 at Faith Tabernacle with Rev. Don Stanton officiating. Burial will follow in the Longwood Cemetery of Ponca City. Casket Bearers will be Mike Meadows, Abraham Stewart, Guy Garrett, Larry Kitchell, Chad Gordon and John Reeves.